In 2013 we are going to be taking time each week to take a purposeful look at the actual teachings of Jesus with determined focus. 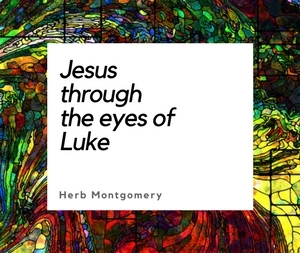 And we are going to kick off this year of focusing on an event that took place right at the beginning of Jesus’s teaching ministry, according to Luke. We then see a movement, originated by God, away from these old laws (for whatever reason they were originally enacted) already beginning in the time of Isaiah before the Babylonian captivity: “For my house will be called a house of prayer for ALL NATIONS” (Isaiah 56:7). But after the captivity we see in Nehemiah a fascinating, conscientious, and meticulous return to the old laws. To give Nehemiah the benefit of the doubt, I do see a sincere desire to do what is right. But without understanding the “why” behind those original laws, his fidelity becomes zeal without knowledge. He misses entirely the trajectory we find in the prophet Isaiah away from some of those old laws. Change is always scary, and Nehemiah, to be fair, was preoccupied with doing whatever it took to make sure the events of the Babylonian captivity would never happen again. But fear often clouds clear judgment. We begin to see an opposite trajectory being set for a nation than we find in Isaiah. This new trajectory toward a strict observance of laws God always intended to be temporary grew to a deep-seated racism among the Hebrew people by the time Jesus showed up. People whom the Law condemned, Jesus looked at not as transgressors in need of punishment, but as victims who had been deceived and taken captive by an enemy and were in need of a Savior. We find this pattern over and over again within the Jesus story. In John 8 we find a woman caught in adultery whom the law condemned to be stoned. Jesus did not follow the law’s strict command here. We find this with the woman at the well in John 4, and the woman with the issue of blood in Luke 8. In all these stories we see the same trajectory away from certain old laws by Jesus. He understood their original reason and that these specific rules were always intended to be temporary. It would do us well to remember, though, that Jesus was crucified as a lawbreaker. But this radical new way of looking at others, even Gentiles, was a game changer for Paul. His name was Saul when he was Pharisee, but he took up his Gentile/Romans name “Paul” once he met Jesus. He went on to write how Jesus changed everything for him: “So from now on we look at no one from a carnal point of view” (2 Corinthians 5:16). The distinctions he had been trained to categorize people with he came to see as carnal, fleshly, and “anti”-Jesus’s kingdom. Was this a transgression of previous laws? Without a doubt, yes, but notice Paul’s justification for it (within the same context of the last verse): “God made him [Jesus] who had no sin to be sin [transgression of the law; see 1 John 3:4 and Ephesians 2:15] for us [both and Jew and Gentile], so that in him we [both Jew and Gentile] might become the justification of God” (2 Corinthians 5:21). Paul understood this, and he was hounded for it all his days. But he understood. If God is like Jesus, then Jesus changes everything (Galatians 2:20, 6:14-15). The Jesus story itself had become Paul’s new moral compass. His only goal: to be like Jesus. What does this all mean to us today? Let me ask you this question: Who is it in your life that you come in contact with daily that the “law” condemns? Is it someone else? Is it you? Regardless, whoever it is, as a follower of Jesus, Jesus is calling you, dear reader, even if the old laws condemn this person, to look at him or her not as a transgressor in need of punishment, but as a victim in need of a Savior. Whatever the list of people groups, categories, and labels our society (religious or secular) has made, we are called to ignore it all and love as indiscriminately as the sun shines and the rain falls (Matthew 5:44–45). Jesus came as Savior, giving his life as a ransom for all. We too are to follow the lamb, wherever he goes, taking up his cross, living our lives not to judge, marginalize, or condemn, but to save, redeem, and restore. Who is it in your life that, this week, God is asking YOU to be Jesus to? Again, Happy New Year to each of you. Now go enlarge the Kingdom!